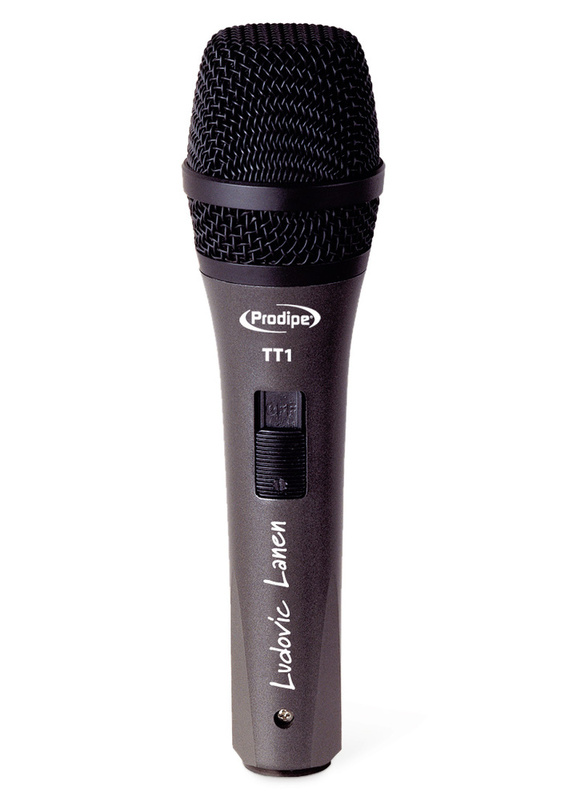 The TT1 is a mic that Prodipe have developed in conjunction with recording engineer Ludovic Lanen, and as with several of their other models, it bears his signature. Prodipe say they wanted to offer a high‑quality, live‑sound, cardioid‑pattern dynamic mic at a very affordable price, so they worked their way through over 100 Chinese‑built capsules until they found one that met their demands. They were so pleased with the end results that they claim the mic is also up to serious studio use, despite its modest price tag. Prodipe also say that the mic compares favourably with industry standards, and it boasts a high output level. Its specified frequency response is 50Hz‑15KHz, though looking at the graph it seems this is measured at ‑10dB rather than the standard ‑3dB. There's also a broad and quite generous presence hump that starts to rise above 2kHz, peaking at around 8kHz. Physically, the mic is very solid and nicely finished, with a black, rubbery coating on the body and a foam‑lined black basket that unscrews for easy cleaning. In fact, the body styling is very similar to my own Telefunken M80 dynamic mic. There's also a slide on/off switch, but there's a grub screw to lock this in the 'on' position if required. A stand-clip (European thread size) and a soft carrying pouch are included.